VERONICA will be a brand new, full-length record of original music that will push the band to their limits in terms of creativity and will further build upon the variety you have come to expect from us. We’re immensely proud of the songs we have written and we cannot wait to share them! To help us bring VERONICA to you, we are starting a fundraising campaign right here, via our website Merch Store, managed entirely by the band. Due to the recent controversy surrounding PledgeMusic, we are not comfortable asking our supporters to gamble their money with a company that has lost a lot of trust and needs time to recover before both fans and artists can begin believing in their platform again. You will receive a digital download for ALL SINGLES in the run up to VERONICA’s release FOR FREE! To show our appreciation of your belief in the band, your name will be printed on the CD packaging and it will be our honour to have it there forever! You will be kept up to date on VERONICA’s progress right here, via Rats News and our Facebook page. visit our merch store and support the year of the rat! 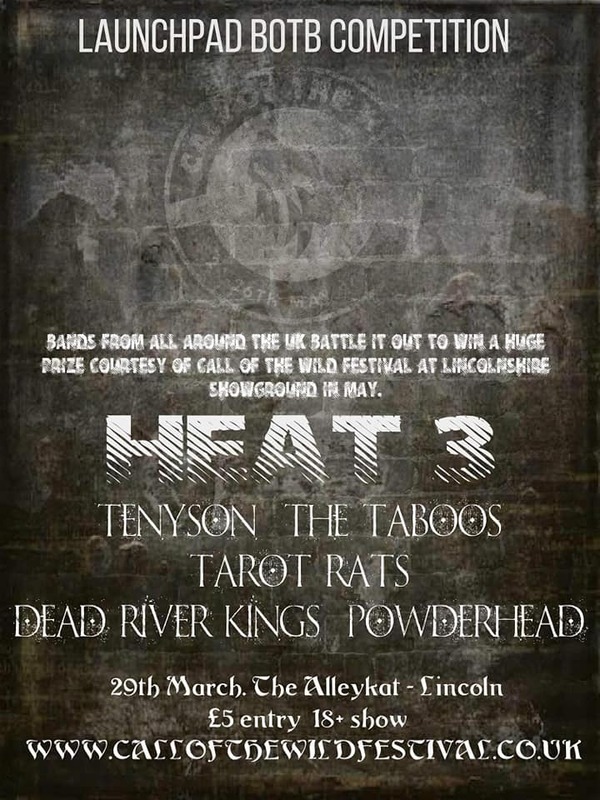 After battling the time vortext that is the Dartford Tunnel, we made our way up to Lincoln to compete in Call of the Wild’s Launchpad BOTB Competition, where we faced fierce competition from five top up and coming bands. We drew places and landed second in the running order, which was fine by us (we’ll play anywhere to anyone!). 30 minutes isn’t a long time to show what you’re about, but we settled on the hard hitting combo of War Begins / Unicorn Girl / Tower / Pseudo / WWY / Plastic Rose… and it did the trick - we won! First place and through to the Final… good news, right? Unfortunately we were informed that the final is taking place on 20th April, where we have already committed to playing The Dementia Aware Fest in South Wales. We pride ourselves on sticking to our commitments, so this was a no-brainer, and we have withdrawn ourselves from the final. WE ARE SUPPORTING RHR IN MAY! We are very excited to announce that we will be supporting RHR Redfern, Hutchinson & Ross on May 26th at The Facebar in Reading! The band have been announced as this year’s Wildfire Festival headliners and are tipped for big things. Our very own Mr. Hammond refers to them as the ‘new blues supergroup’… I think he’s a fan! Special thanks to Crazy Cowboy Events for this great opportunity and it’s safe to say that we cannot wait! You can check out RHR’s debut album, Mahogany Drift, on Spotify here. Many moons ago, our very own Timothy Steele resided and strutted his stuff around the streets of Northamptonshire, so he was especially stoked to return and show everyone what he can do! We were honoured to support our good friends, EMPYRE, and had an awesome time at The Red Lion, Brackley. Want details? Check out this awesome gig review by Dave at Jace Media. We played in front of our amazing home crowd at The George Hotel, Cranbrook on Saturday and Mr. Hammond made the most of it by absolutely smashing his Temperance solo… behind his head, of course! Watch full solo here. Gms Band of the month! The heart surrounding Great Music Stories says it all - we’re honoured to have won the listeners vote for band of the month! 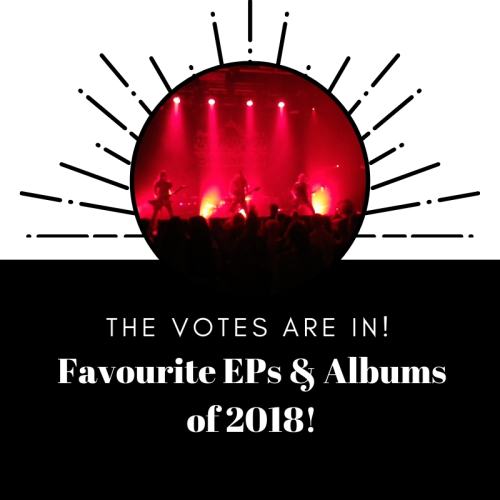 Thanks to everyone that voted and to @GuyB_rockshow for his continued #marv support. We’re certainly feeling the love at the moment and Johnny had a great chat with Guy this afternoon regarding plans for the next month. Let’s keep the #ratsfamily growing and smash February! what’s going on here then?! It was that time of year again, where the Tunbridge Wells Forum honours the majesty that is David Bowie with one hell of a party! We have played every Bowie night so far and this one was the best yet… the atmosphere was incredible and we were honoured to guest appear to play Rebel Rebel. The sell out crowd were amazing and sang every word, making this a very special moment for us. Two nights next year you say…? Our plan for 2019? Full album baby! We have been busy writing and already have few bangers that we’re dying to show off… but we’re being restrained as we want to get them juuust right first. So what happens between now and then? We’ll be gigging, so look out for upcoming dates, and you might see a single or two in the run-up to the album release, so watch this space! PRETTY FACELESS SCOOPS EP OF 2018!